The application arrived quietly while I was away. It just slid, dropped, popped, or materialized (whatever an e-mail does when it arrives) in my "inbox" while I was out. It was not unexpected but still created a jarring sensation in my spirit when I saw it. Funny how small questions and comments grow into larger adventures while you are not paying much attention. The application is a next step toward an appointment to the 15 member National Pork Board. It is a written application in an electronic sort of way. Fill it out on line. Send it back sort of thing. It is the first concrete step I will have taken to express my interest in an appointment. I think that is what jarred me. Up to now, I have just been asking questions and considering the possibility. Now it is here in my hand. What adventure lies ahead? 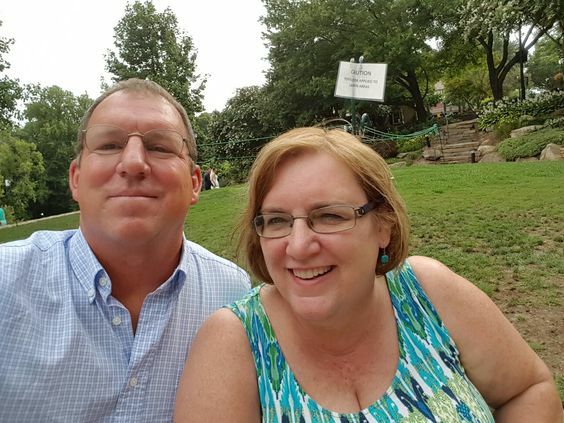 Early in my relationship with my wife some 30+ years ago we both remember me saying, "You know, if you marry me, you never know where you are going to end up!" I know now that it was a universally true statement. (Whether she married me or not neither of us, no one for that matter, knows where they will end up.) It was a statement that made our future sound exciting, so we liked it. We remember those words and laugh because our life together has been one adventure after another. We both sense that applying for an appointment to the Pork Board is the start of yet another adventure. Let me bring you up to speed on just what this is all about. The National Pork Board is a 15 member board of pork producers that are appointed by the Secretary of Ag to oversee the dollars collected through a mandatory check off. 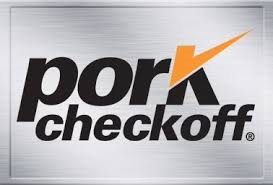 Anyone that sells a pig in the USA contributes financially to the Pork CheckOff. 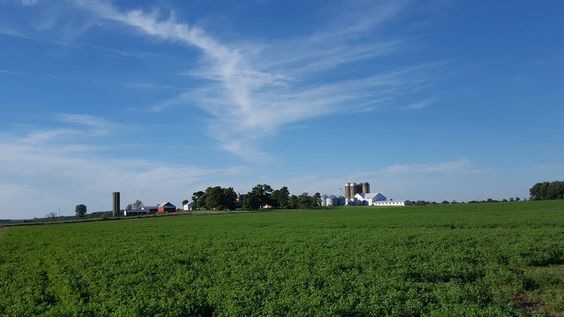 Since contributing to the check off is mandatory, the actions and programs of the board are limited by law, the Pork Act, to things that support all producers. Specifically, actions are limited to education, research, and market development. The board is not allowed to engage in political promotions in support of a candidate/party. The dollars are overseen by the Secretary of Ag through the USDA to ensure compliance with the law. I have served as a director of the state version of this organization, Ohio Pork Producers Council, and am currently serving on the Animal Welfare Committee of the National Pork Board. The process of being appointed to the board is not a short or simple one. Step one is the application I spoke about at the beginning of this blog. This application finds its way to the 7 member nominating committee for review and scoring. The next step, step three, is caucusing among the various state delegate bodies at the annual meeting of the National Pork Board known as Pork Forum. The challenge for a candidate is to get enough support (votes) from the various state delegates to be one of the top 8 vote getters. Votes are allocated according to the dollars of checkoff collected from various states. Large pork producing states have greater voting power than smaller ones since they contributed more dollars to the Checkoff. There is also a rule that says 12 states must be represented on the board. This is where the scoring done by the nominating committee can be important since state delegates rely on it to inform themselves of a candidate's suitability and qualifications for the board. The higher a person is voted in the ranking, the better, since the Secretary of Ag will pick 5 from this list of 8 to be appointed to seats on the National Pork Board. Traditionally, the top 5 would be picked but the Secretary has been known to do otherwise. Step four is the waiting game after the Pork Forum vote. Waiting to see which of the 8 the Secretary of Ag chooses to appoint. I imagine this wait can be a month or two. Here is a link to another blog I wrote years ago describing my experience as a delegate involved in the election process. "Pig Farmers Vote for National Pork Board"
Two questions immediately come up, "Why do you want to be appointed?" and "What qualifications do you have for such an appointment?" I need to reach back into my personal history to answer both these questions at the same time. Back in the 1980's I was a student at Iowa State University studying Agricultural Business when I came through a history class that focused on American Agriculture. I remember reading about the efforts of farmers to band together for the common good. It was likely a discussion of the establishment of the local coop as a functioning legal entity that made an impression on me, more than the creation of commodity boards. From that class I realize that joint efforts for the common good can supplement the raw individual strength of the farmer and help sustain a stronger community. It was during college that I was first elected to a leadership board by my peers. The organization was Inter Varsity Christian Fellowship and it's board was made up entirely of students overseen by an adviser, not unlike NPB in that sense. My major contribution was to transition meeting times from week nights to Friday night. I realized that the audience we were trying to attract to our meetings was generally available on a Friday night. Our members were less inclined to head to the bars and parties on Friday evening than the average student. Attendance dramatically increased when the switch was made. Last I heard the meetings are still on Friday night. An added benefit was the availability of speakers and meeting rooms. 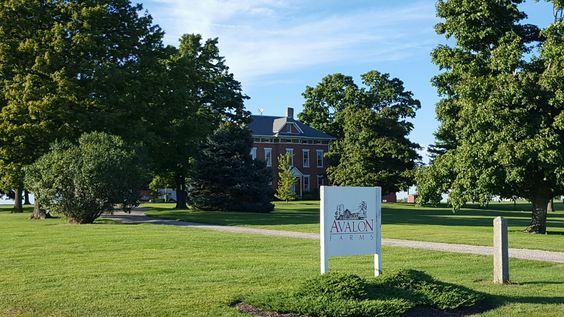 After college, my first position was to manage the livestock operation and 2 employees of our family farm partnership in Ohio, Avalon Farms. My father had died during my college experience. My elder brother, Richard, managed the financial side of the operation. During this period of my life I learned to work with and lead people senior to me. The two employees I was managing had been significant in my youth as they worked for my father. The challenge I faced as a college graduate, was gaining/keeping their respect of me as a leader when they certainly had superior knowledge and experience at the work we faced on the farm. You learn to swallow your pride, ask questions rather than give commands, negotiate, preposition ideas, man up, and from time to time lead without seeing the way very far in front of you, when faced with this challenge. I owe a huge debt to the training and tolerance I received at the hands of those two men. During this time I was involved in bringing legal order to a discipleship ministry known as The Salt House near Wittenberg University, a local liberal arts college. The ministry had grown organically around several college students (affecting 50? students on a campus of 1000?) but was faced with a leadership vacuum upon their graduation. I was tasked with setting in place the legal, financial, and leadership structures to insure the ministry's survival. I oversaw the drafting of articles of incorporation, hiring of the first employee, fund raising efforts, and recruiting board members. The ministry lasted for another 10? years under these constructs. I was accompanying a group of 15? students from this ministry, The Salt House, as an adult chaperone on a mission trip in Honduras when he said/she said accusations of impropriety between our host and a student flared up. Things went from amiable to untenable over night. It fell to my leadership to extricate everyone from that country ASAP. I got criticized. I got praised. I learned the valuable leadership lesson of doing the only reasonable thing possible and letting the chips fall where they may. I may be known as the "mission team leader from Hell" in some circles. The family business partnership came to an end around 1997, signaling the start of my independent business career. I had 1000acres of cropland, cash, and 100 sows outside on 10 acres of beautiful black soil. I calculated that if I had those sows inside and was a good manager of pigs I could out perform my neighbor and have an edge in the pork industry. By contrast, if I was the best manager of crops in the county and it did not rain, I would have no edge. So I began expanding and moving the sows inside until I had about 600 sows. I sold weaner pigs to neighbors and others on contract. Then came $8 fat hogs and then $8 corn. Somehow I have grown through it all to 25000 wean to finish pigs annually plus the farm land. Working hard and plodding forward were the lesson of these challenges. That and a first hand understanding of the concept of "working capital" and "mortgage debt". 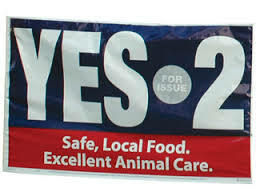 Some time fairly early in this independence I saw the fights with HSUS coming and wanted to be involved. Consequently, when offered, I ran for and won a seat on the Ohio Pork Producers Board of Directors. This was my first experience on a board of this magnitude and with this structure. It was a great learning experience. I found my voice through Operation Main Street (I was one of the original speakers recruited) and through the Pork Leadership Academy. I am grateful to these experiences for the development of many leadership qualities, not the least being how to vote "no", knowing your vote will not carry the day, and then to turn around and support what you voted against. The most lasting and impactful lesson was the day the executive leadership organized a conference call and announced to the board that in a few hours they would be announcing an agreement (aka the Ohio Agreement) with HSUS on gestation stalls. It is no secret that I was upset at not being consulted as a director. I felt my own executive team did not trust me as a director with the confidential negotiation. The very negotiation that was the reason I had joined the board. Another experience came as a member of the committee tasked with writing the pork related sections of the Ohio Livestock Care Standards. This gave me a seat to see the inside workings of how a law gets implemented. I learned I don't have the skill set to be a strong leader in this area, since I am lacking the memory of minutia, legal background, and organizational knowledge needed. But I can summarize and evaluate presentations fairly quickly and with confidence. I can see the various manuvers the players are making and how that will roll down through the years. To that degree I enjoyed the experience. It was during this time that I testified several times as an individual to the Ohio Livestock Care Standards Board in defense of the industry. I intentionally spoke immediately following Wayne Pacelle, taking the microphone while it was still hot from his hand and speaking on behalf of the industry and farmers in general. That was the day HSUS had bussed in several loads of activist and there were few farmers in the room. You learn that farmers like to say, "I would like to tell him/her (fill in anyone they vehemently disagree with) this or that!)" but when faced with an opportunity, they don't show up. I remember telling my kids, "I may not win the argument, but it won't be because I did not speak." I learned from that experience that I have the metal to stand in front of a hostile audience and make a coherent presentation. I have attended several annual meetings of the Animal Ag Alliance as a representative of the National Pork Board. These meetings have opened my eyes to a broader picture of the industries response to threats from the Animal Welfare/Rights organizations. Through case studies and general lectures I have seen and heard how real scenarios play out and how various actions can greatly impact an outcome. I attended a conference in Washington DC as a representative of the National Pork Board focusing on border security and foreign animal diseases. This meeting gave me a view of the law enforcement community and the challenges they face on a daily basis. I also got to witness first hand the workings of paid industry lobbyist. Both were eye opening. I learned that sometimes you should take names and notes to follow up on items later. The social media platform has always interested me. I was involved in realigning OPPC's budget to emphasize its social media efforts while on that board. Essentially, we decided that our resources were too limited to have an impact through traditional channels. In addition to cost, we realized that dollars spent on TV and Radio and News print impacted a person one time. It was recognized that with social media our dollars built a following of repeat contacts and generated a point of contact that could be reenergized at any time. In effect our dollars had a shelf life through social media that did not exist in traditional channels. The interest in social media allowed me to participate in the kick off of the National Pork Board's social media effort #RealPigFarming. As a farmer with hands on experience I can provide fresh and interesting content to assist in driving conversations with online consumers. The conversations open your eyes to the attitudes and thoughts that are in the nonrural marketplace that would otherwise be foreign to me. Social media allows me to reach out of the pig barn into the rest of the world. For the last 5 years I have served on the National Pork Board's Animal Welfare committee. I have been involved with rewriting the Livestock Care Handbook and revisions of the PQA+ program. I have seen research proposals and the resulting work product. I have helped shape the committee's budget and it's contribution to the Plan of Work. Most recently I am helping review/shape the video training segments for educating producers on the Common Swine Industry Audit. Much of this is less dramatic work but serves a great need in leading the industry both domestically and internationally. You can see that there is a long distance between where I stand today and actually being a successful candidate for the Pork Board. You can see I have come a long way already on my adventure with the swine industry. I am going to apply and see where the process takes me. It will be an adventure. Wish me luck.